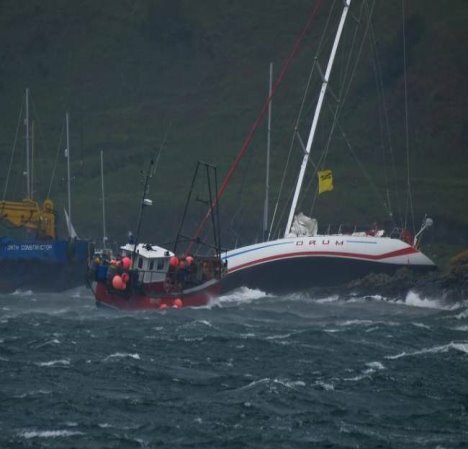 The well loved Maxi Yacht owned by Car Salesman Arnold Clark Ran Aground in Oban. I think everyone that has seen her sailing up and down the Clyde over the years will feel only sadness for this lovely old Maxi. On lookers watching the developments could not agree who to call. The AA or Direct Line, so just Called Arnold. I’m sure that this big bus will get going once again, as she has been through a lot worse than this. All the best of luck in your efforts. “It’s just a ding” and any of your body shops will have you back on the road in hours. FREE PHONE………… ARNOLD CLARK.